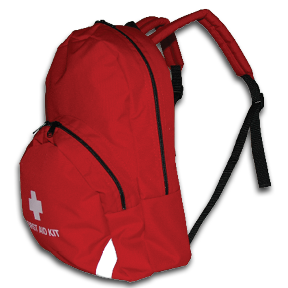 Our Product Highlight is one of our best-sellers: Our Sports First Aid Backpack (911-98585-19481). This product is fully stocked with enough products to take care of the whole team, as well as extra space for you to add extra First Aid products of your choice as well (though we recommend a tourniquet and CPR mask!!). Click the photo to see a complete list of the Backpack supplies. We have redesigned this bag in house to make it optimal for transportation from sidelines to site, perfecting the weight distribution and upgrading the straps to make them comfortable and manageable, even when the backpack is full. 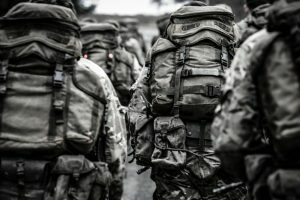 This backpack is also portable enough to be taken along on hikes or any trip, and makes it simple to have basic First Aid supplies ready anywhere. Sports injuries are common, and while most do not require serious medical attention, they may require First Aid. 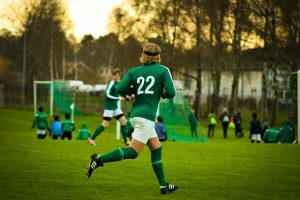 For more sport-specific advice, check out the Sports Safety section of our blog to read about treatment of different specified injuries. If you have our Sports First Aid Backpack alongside your team this season, any First Aid is manageable.